This is a rich dense, chocolately cake with a superb ganache frosting. Serve with vanilla ice cream or a big glass of cold milk. 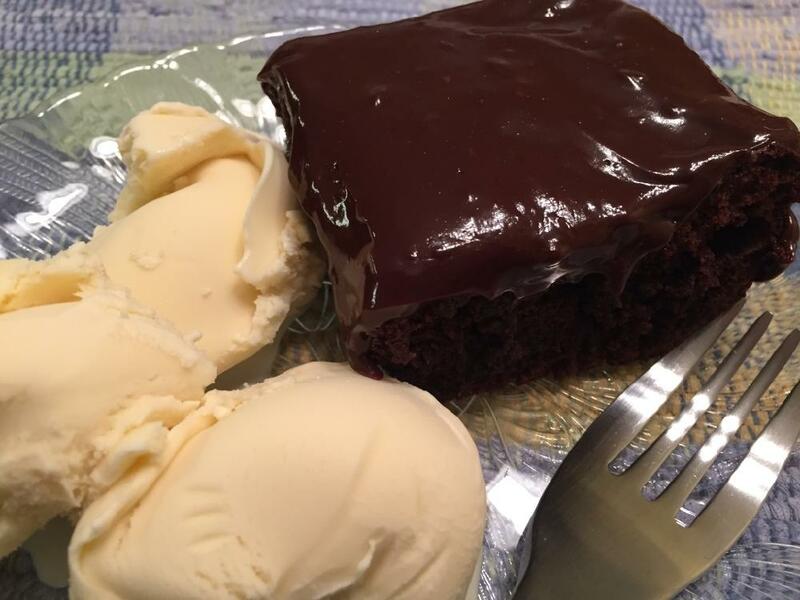 Ganache recipe is included in this meal plan. 1. Preheat oven to 350 F. Grease an 8-inch square cake pan with butter. 2. In a stand or hand mixing bowl, beat butter and sugar together until fluffy. Add eggs and vanilla; beat well. 3. To the bowl, add flour, xanthan gum, cocoa powder, baking powder, and salt. Blend well. Add Greek yogurt. 4. Beat the batter until it becomes thicker and more elastic; 5 minutes. 5. Pour batter into greased pan; smooth the top. 6. Bake in preheated oven for 30-35 minutes, until a toothpick inserted in center comes out clean. 7. Allow to cool. Frosting with Chocolate Ganache.